I spent quiet contemplative moments during International Holocaust Remembrance Day on Wednesday. However, in the midst of my day, I took time out to watch the presentation ceremony of Righteous Among the Nations recipients at the Israeli Embassy in Washington DC. Righteous Among the Nations is the highest honor bestowed by the Israeli government on non-Jews, and honors those who risked their lives to save Jews during the Holocaust. 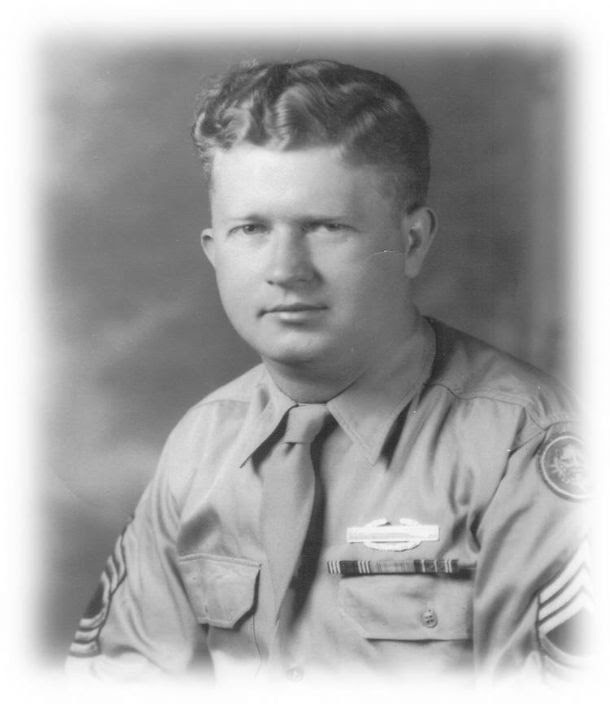 This ceremony was especially meaningful to me, as one of the honorees was Master Sgt Roddie Edmonds. During World War 2, thousands of American forces, including Edmonds, were taken captive by the Germans during the Battle of the Bulge in 1944. Among those held were about 200 Jewish American soldiers. At the Stalag 9A POW camp, Jewish prisoners were commanded by German soldiers to report one morning. As the highest-ranking non-commissioned officer, and sensing imminent danger for his Jewish comrades, Edmonds ordered all 1,000+ American POW’s (including non-Jews) under his command to report and fall into formation in front of their barracks. The German commander turned and left the scene, thus saving the lives of the Jewish American POW’s. According to Edmonds diary, that occurred on January 27, 1945… recognized today as International Holocaust Remembrance Day. Wednesday was also Paul Stern’s 92nd birthday. Granted, this is a touching story, but why was it especially meaningful to me? Because Master Sgt Roddie Edmonds’ son, Chris, was a classmate of mine when I travelled to Israel a couple months ago for the Christian Leaders Seminar at Yad Vashem Holocaust Museum and Research Center. While there, on December 1, Chris was notified of his father’s official designation as Righteous Among the Nations! We celebrated with Chris and were able to hear Chris share his dad’s story personally. Who knows about that. However, I can say this about Roddie and about Chris: these are true men of God. Roddie stood up for his faith and his principles, at risk of losing his life. Chris stood up in a room of dignitaries and gave glory to God for His mercy and grace. Roddie went home to be with the Lord in 1985, but I am so grateful to have met Chris and to have heard his father’s story personally. As Christians, it is vital that we “connect” to our Jewish heritage in Christ, and that we stand strong with Israel and the Jewish people. One way to do that is to tell the stories of the Holocaust. It is Chris’ desire that his dad’s story is used for God’s glory. Why not tell someone Master Sgt Edmonds’ story today! God’s Chosen Land and God’s Chosen People…but Why?